Wonder Anatomie. estabished by 2 sisters "PLE & PUI" and 0ne brother "POP" . We Love in Fashion. Wonder Anatomie. 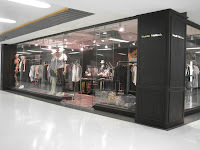 opened on 2 August 2009 at Room 325/1, 3th Floor, Siam Center. All products - clothes, acessories, etc design by POP.